Nevyansk is a town in Sverdlovsk Oblast on the banks of the Neyva river, 100 km from Yekaterinburg. 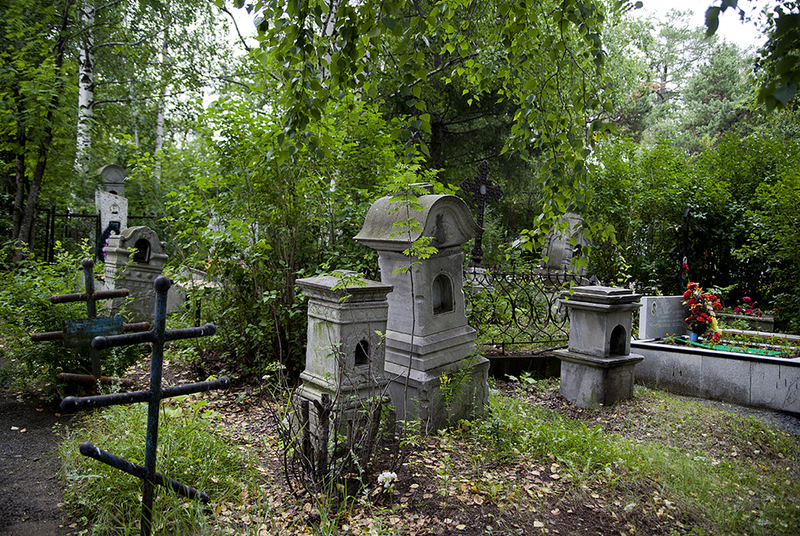 Founded in 1701 by decree of Peter the Great, it was intended as the site of an ironworks and cast-iron facility. 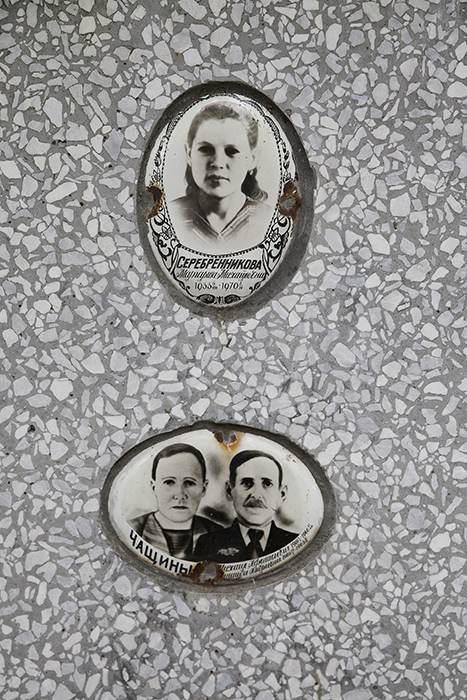 The third photostory in the [POST]Industrial Urals project tells about Old Believers in Nevyansk. 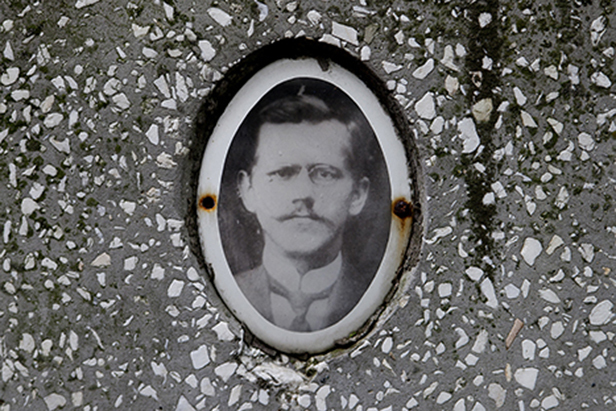 The Old Believers at the Nevyansk plant were the first of any Urals factory to be recorded in the first poll census of 1721 — 29 people in all. 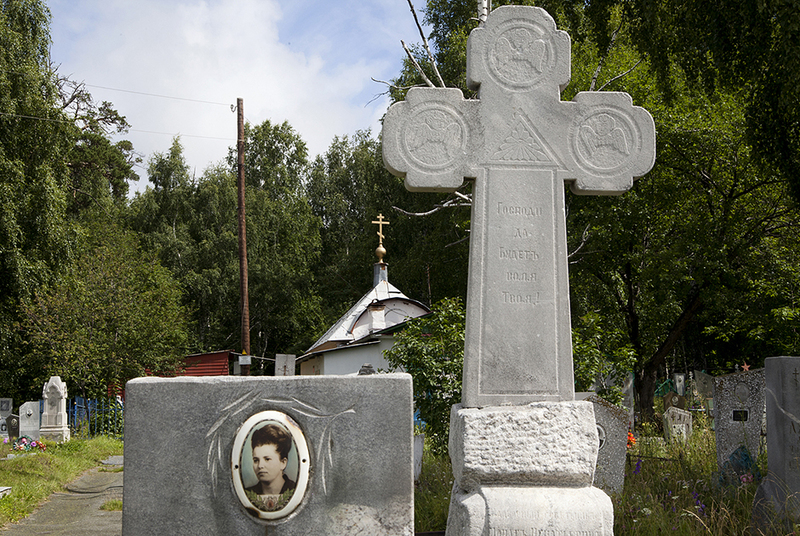 In the 18th and 19th centuries Old Believers accounted for a large part of the population of Nevyansk. By decree of Empress Anna Ivanovna dated November 12, 1735, Old Believers were to be removed from forest areas and settled and put to work at industrial facilities. 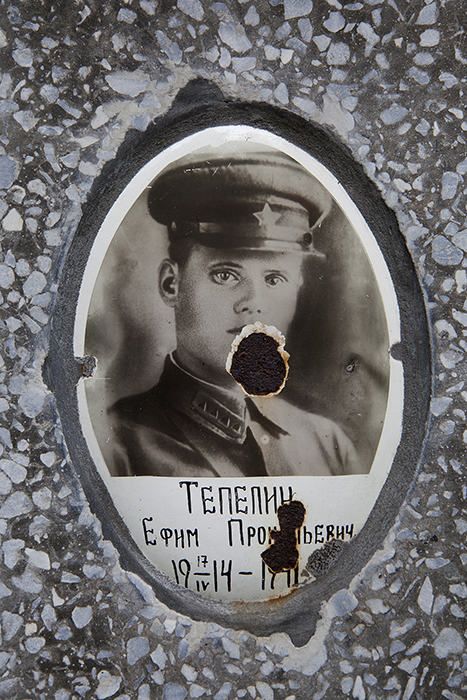 Thus, Demidov was able to utilize the labor of Old Believers, while the latter could rest assured that they would not be banished from the factories and forced to return to their original place of abode. 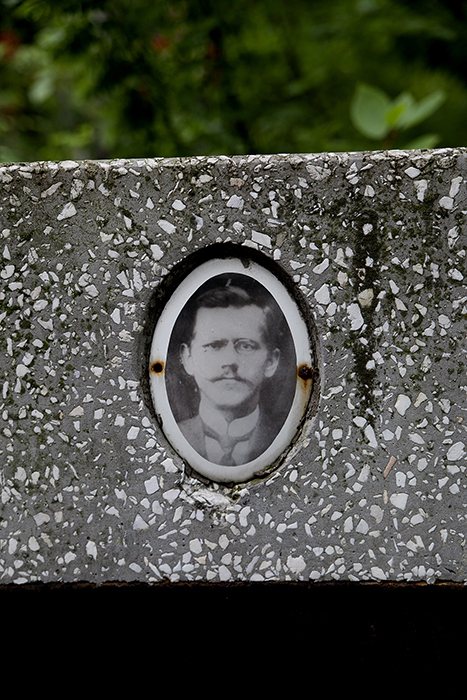 Portrait at the grave of Telepin Prokopievich, born in 1914. In 1715 Nikita Demidov instructed that “iron shall be made for the Admiralty.” A decree issued by the Berg Collegium [Collegium of Mining] in 1726 noted: “Such plants are not to be found anywhere in Europe, let alone in Sweden.” The plant was enclosed by a fortress on three sides. Inside the fortress were factory buildings, a manor house, and a wooden church. The plant’s products were branded with the “Old Sable” trademark. 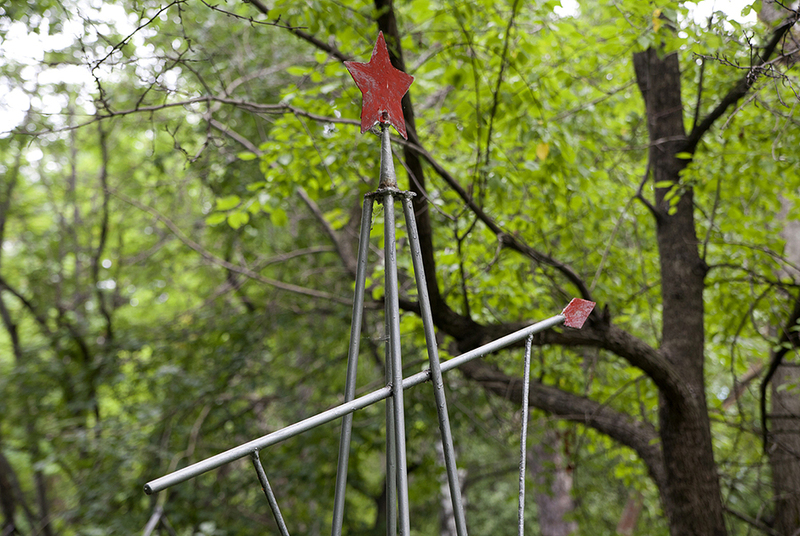 It was considered one of the finest in Russia. Old Believers did the most highly skilled — and therefore the best paying — factory jobs. They also performed ancillary and out-of-factory tasks, such as harvesting coal. As professional carpenters, blacksmiths, etc., they could combine factory labor with making and selling industrial-use goods, thereby earning a bit on the side. 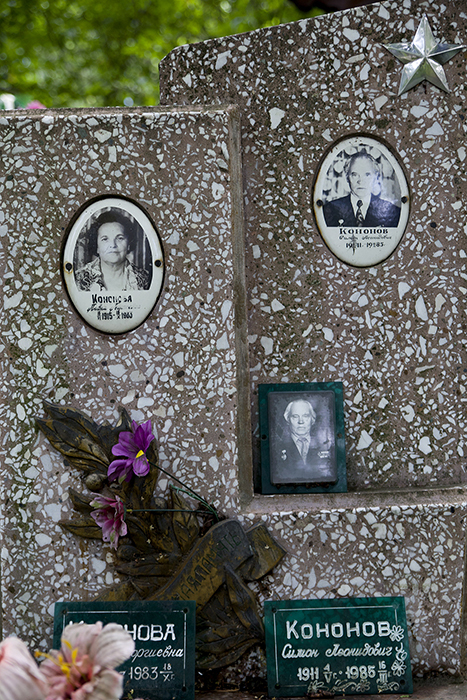 This family tomb for a married couple and their daughter is located at Nevyansk Cemetery near the Old Believers’ Church. Old Believer merchants not only provided the plants with all necessary supplies, but also marketed factory goods, acting as wholesale buyers and resellers. In 1763 Moscow merchant Jeremiah Kharitonov, a resident of Nevyansk from 1755, purchased various utensils and ironware for over 3500 rubles, and another merchant, Afanasy Ryabov, did the same for 5000 rubles, later selling the metal in the Trans-Ural region. 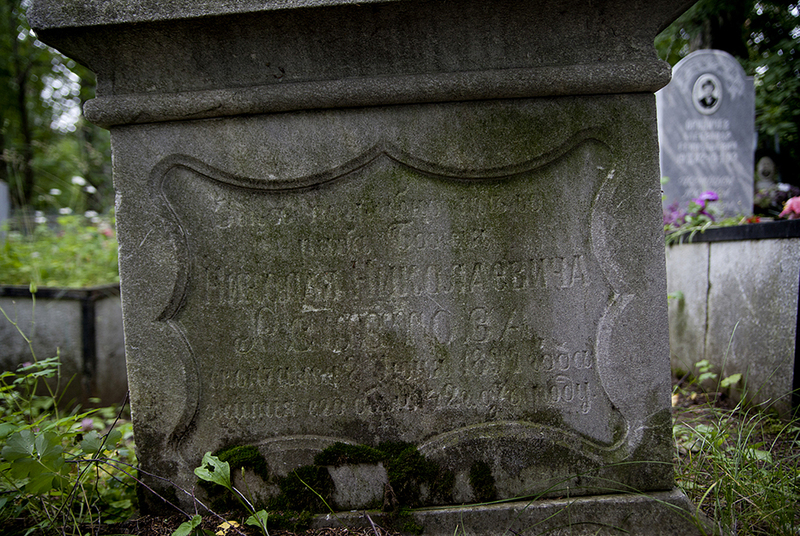 A monument at the grave of a man who died in 1837. 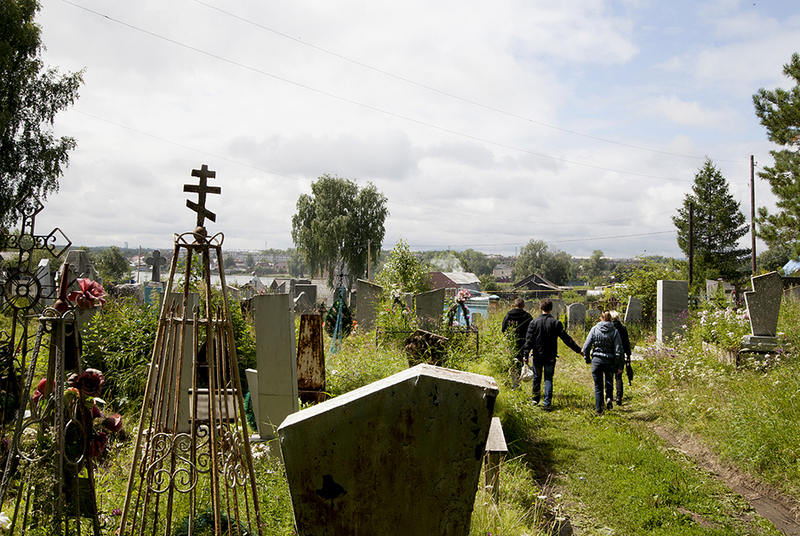 In the southeastern part of the town of Nevyansk lies a cemetery ​​91 hectares in area. 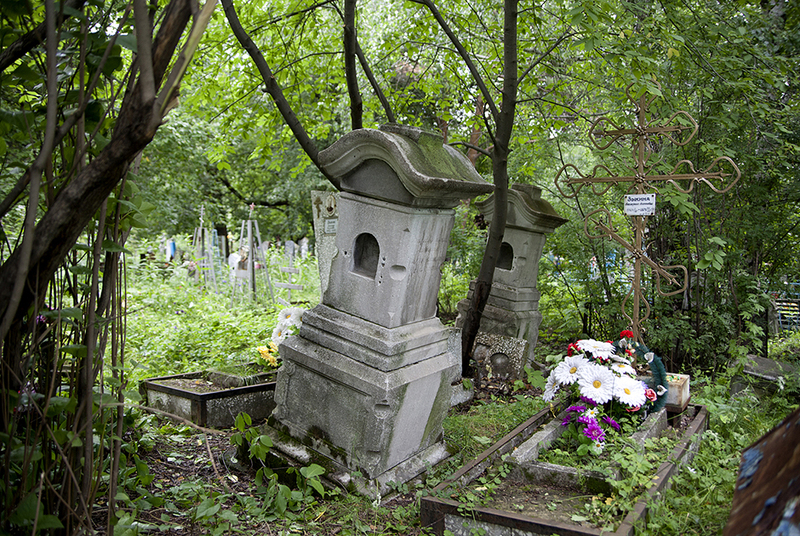 The burial sites are close by the Ascension Orthodox Church and the Old Believers’ Chapel of the Exaltation of the Cross. The wooden Patron Saint’s Ascension Church was reconstructed from the chapel, which was erected in 1866 and consecrated on October 22, 1871, in honor of the Ascension of the Lord. 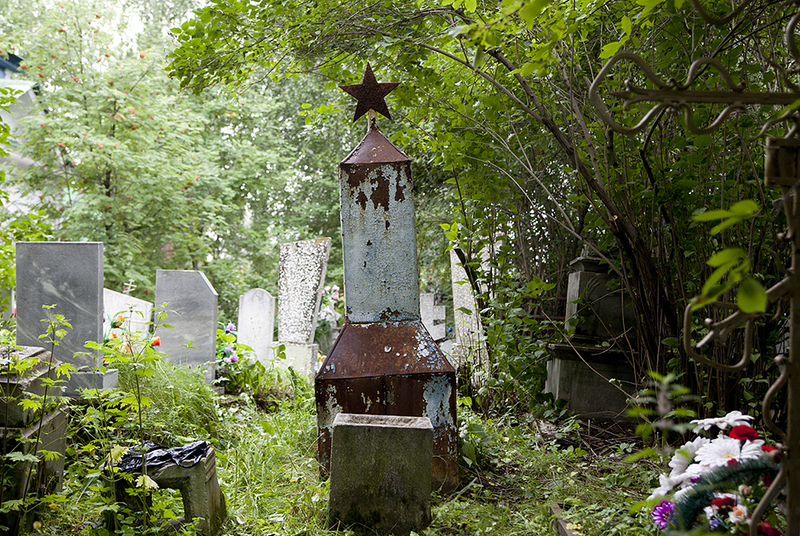 It still functions as a chapel to this day, and is one of the most famous Old Believer shrines in the Urals. 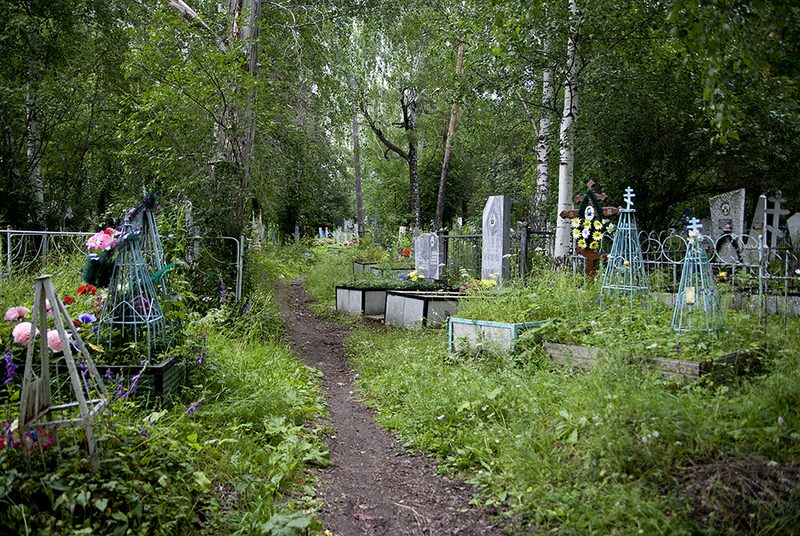 The unique Nevyansk Cemetery attracts an increasing number of tourists every year. 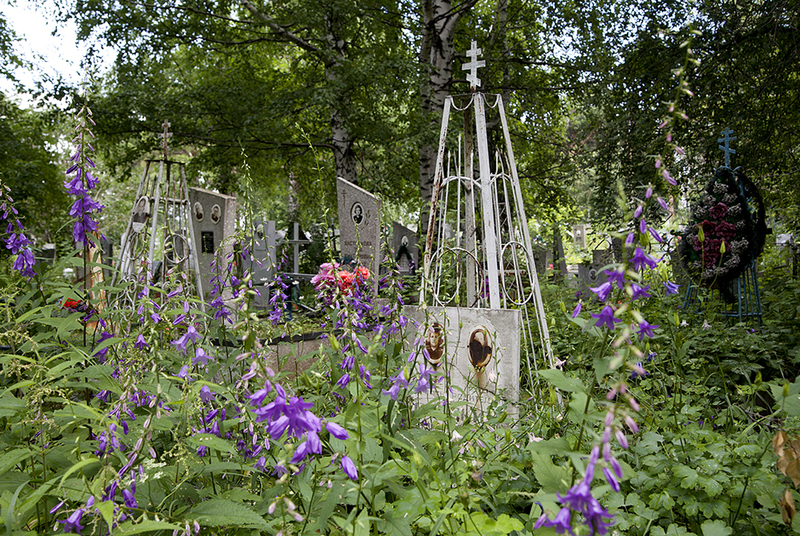 The place is fertile ground for studying the history of the Urals and the region’s industrial development. 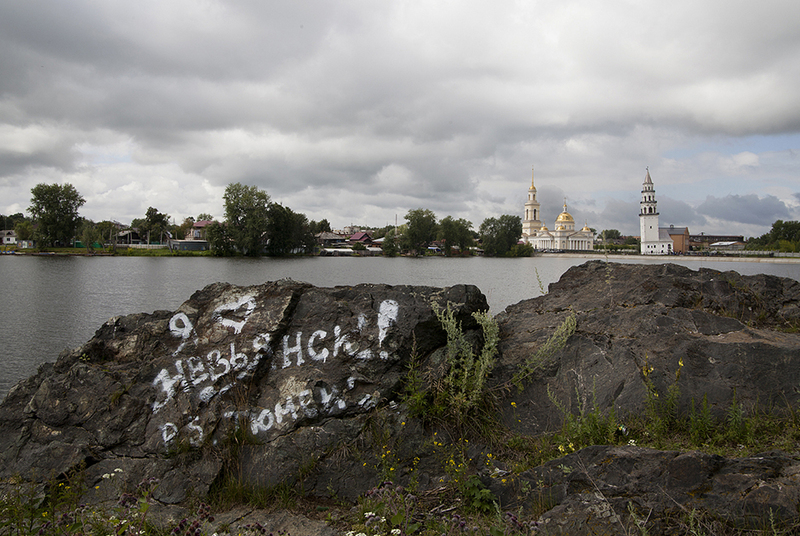 According to data for 2010, the population of Nevyansk is 25,000. 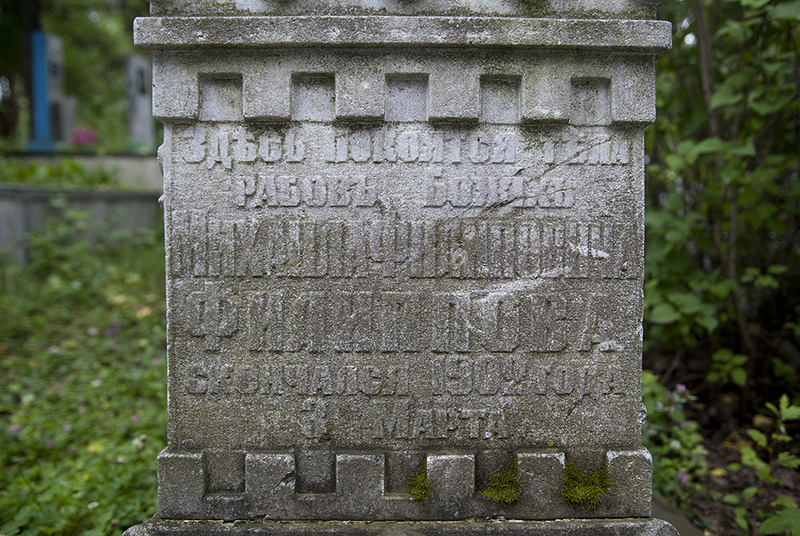 The inscription on the stone reads: “I love Nevyansk. P.S. 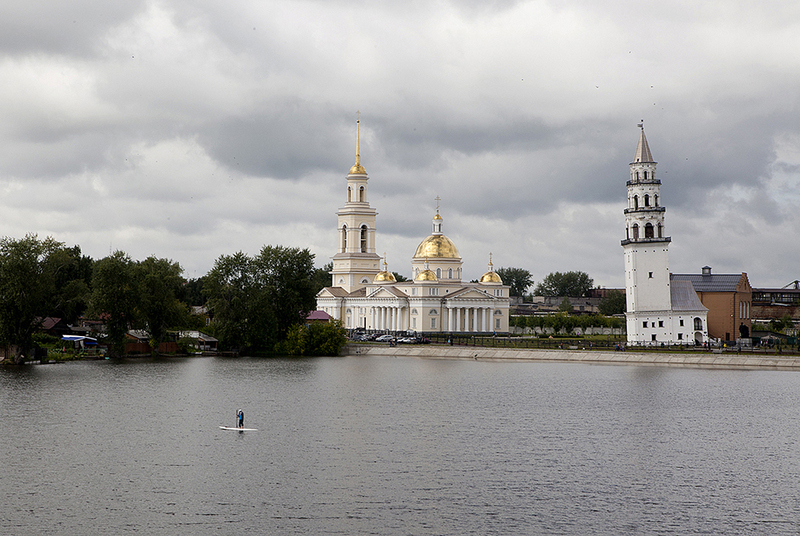 Tyumen.” The town is famous for the Leaning Tower of Nevyansk. The height of the tower is 57.5 meters, and its base is 9.5 square meters. With a deviation from the vertical of approximately 1.85 m, the tower is most inclined in the lower tier (3° 16'). 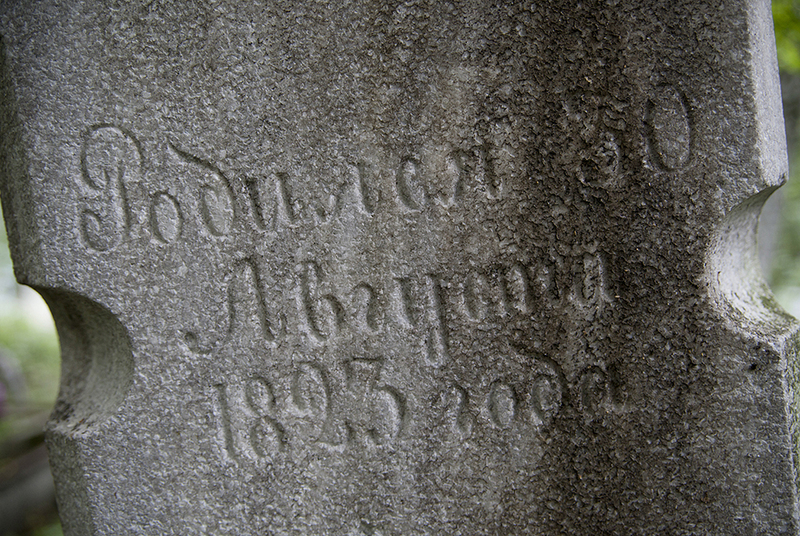 The exact date of construction of the tower is unknown with various sources pointing to between 1721 and 1745.